There seems to be a lot of experts saying that the stock market will collapse. There are also many investors who think so. However, as I said before, the stock indexes, not the stock markets, are likely to keep going up or to walk sideways. We need to think about what will happen if the stock indices collapse now. So called, they are likely to boost the stock indexes by using all means and methods. This may be why the stock indexes do not collapse. Last fall, I expected the stock indexes to plummet, but would not go into a downward trend. My forecast was right. 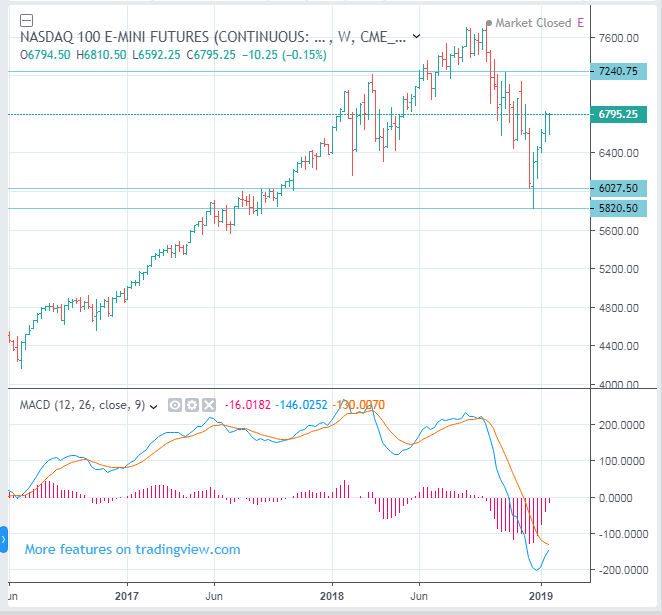 The Nasdaq 100 index futures are likely to rebound up to at least 7240. I do not know if it will go higher than that. When it would reach that level, we could think about the next.